Numerology is derived from the words ‘numero’ and ‘logy’ which means the study of numbers. Numbers are basically studied in relation to each other. Gematria is a form of Jewish numerology. This Jewish form of numerology provides the relation between a number and a word or a phrase. This is done because of the firm assumption that the words or phrases with identical numbers are related to each other and the number. The word is also related to a person’s age. Gematria numerology basically underlines the fact that numbers are related to a person’s date of birth. This form of numerology is a bit mysterious and esoteric. It helps in the analysis of different parts of an individual’s personality and gives a picture of the overall nature of the said person. For any calculation the most important requirements are the birth date and birth name. In numerology each alphabet is associated with a different number. Using this a word’s numerical value is calculated. Two words having the same numerical value are implicative of the fact that the qualities and personality traits of the person are also the same. This is a distinguishing factor when compared to other numerology methods. This is because in no other numerology method would one find two similar numbers indicative of the fact that the qualities are the same. Apart from this another distinguishing factor is that in no numerology system could one find the reduction of numbers to a single digit. According to the rules of Gematria the zodiac sign of a person is not decided on the basis of names but on the basis of date of birth. The name number gives information of certain things. These include the knowledge of planet, elemental direction, primary and secondary colours and the lucky letters for naming. The planets help in getting a knowledge of personality traits. 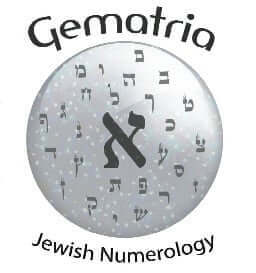 The numerology calculator presented over here helps in getting the detailed gematria numerology analysis report. This is free to use and spares many visitors of the hassles of visiting an expert. All one needs to do in order to use this free tester is enter his or her name and the date of birth along with the year. After that the user has to select the with free Gematria numerology reading marked on it. The result contains a detailed analysis. It tells the person about his or her zodiac sign and symbol. It also tells the person about his or her personality traits and thus gives an idea of suitable suitable career choice. One should definitely try using this free online prediction tool. This is because people who have used this calculator believe it to be very accurate. It clearly gives the user a chance to overcome any future problems that he or she might might be having.